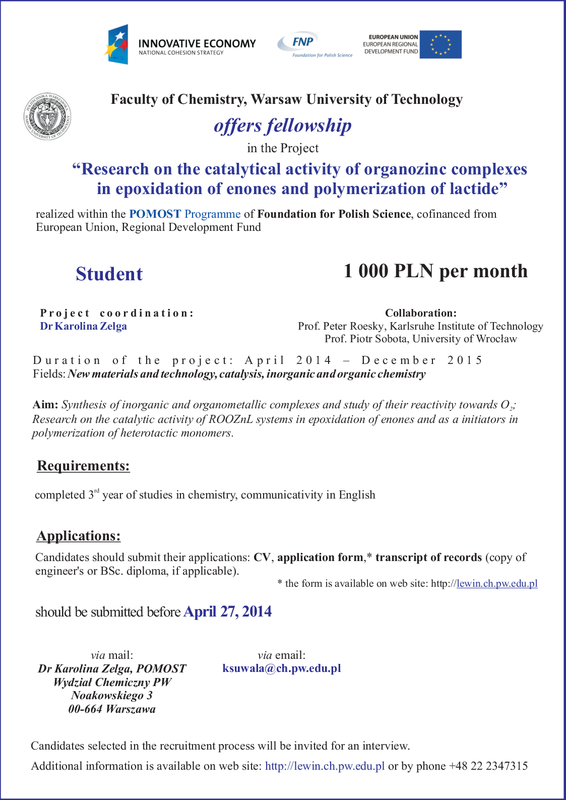 We are now searching for a motivated master student to take part in the Foundation for Polish Science POMOST project Research on the catalytical activity of organozinc complexes in epoxidation of enones and polymerization of lactide. We are waiting for your application untill April 27, 2014! For more information about the project as well as recruitments details click here.